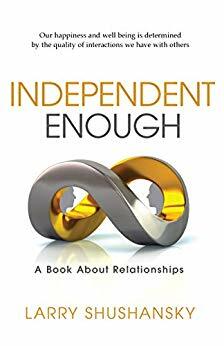 *Independent Enough: A Book About Relationships (Deal, Not Free) by Larry Shushansky. Price: $0.99. Genre: Non Fiction Deal, Sponsor, A Process of Self Reflection, Gain a Better understanding of Yourself, Take Responsibility for Your Own Happiness. Rated: 4.9 stars on 38 Reviews. 136 pages. ASIN: B07G3KX378. *Hidden Brilliance: A High-Achieving Introvert’s Guide to Self-Discovery, Leadership and Playing Big by Katie Rasoul. Price: Free. Genre: Non Fiction, Sponsor, Introvert’s Guide to Self-Discovery, Learn Leadership and Play Big, Self Discovery and Empowerment Guide for Introverts. Rated: 5 stars on 20 Reviews. 182 pages. ASIN: B07C9RHY3Z. *The Busy, Working Mother’s Guide to Living a Life of Meaning Series Finding Your Purpose: Tips to Survive Parenthood for the Overwhelmed and Exhausted by Nicolle Lowrey. Price: Free. Genre: Non Fiction, Sponsor, Self Help for Working Mothers. Rated: 5 stars on 1 Reviews. 94 pages. ASIN: B07K878CJP. *Reboot Your Life: A 12-day Program for Ending Stress, Realizing Your Goals, and Being More Productive by Paul Gibbons. Price: Free. Genre: Nonfiction, Self-Help, Motivational. Rated: 4.8 stars on 17 Reviews. 116 pages. ASIN: B00H4XKYX4. ADHD SUPERPOWER II: Making Use of the Power of ADHD (ADHD Adult, ADHD Kids, attention, ADHD Coaching) by Tim Raven. Price: Free. Genre: Nonfiction, Parenting & Relationships, Special Needs, Hyperactivity. Rated: 4.7 stars on 8 Reviews. 51 pages. ASIN: B07KB71C34. Street Game: Day Game Tactics by Cole Montag. Price: Free. Genre: Self-Help. Rated: 4.7 stars on 4 Reviews. 69 pages. ASIN: B00HY0CHEG. Stop Losing Sleep: Establish Healthy Sleep Patterns to Improve your Health and Energy by Kyle Richards. Price: Free. Genre: Nonfiction, Self-Help, Personal Transformation. Rated: 4.1 stars on 12 Reviews. 96 pages. ASIN: B00L2TF99U. Posted on November 15, 2018 Author KibetCategories Happiness, Motivational, personal transformation, Self Esteem, Stress ManagementLeave a comment on 7 Incredible Free Kindle Self help Books for Wednesday! 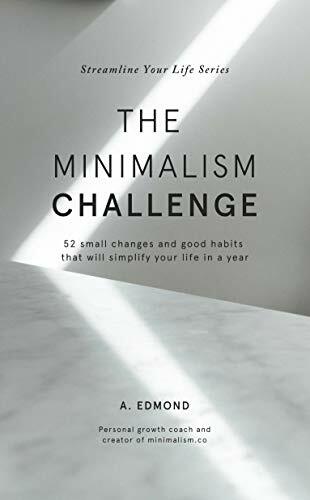 *The Minimalism Challenge: 52 small changes and good habits that will simplify your life in a year (Streamline Your Life Book 1) (Deal, Not Free) by A. Edmond. Price: $0.99. Genre: Non Fiction Deal, Sponsor, Self Help, Simplify Your Life and Work and Finances, Focus on the Essential. Rated: 5 stars on 1 Reviews. 265 pages. ASIN: B07JV892QD. ISBN: 1729324754. Posted on November 9, 2018 Author KibetCategories Career Guides, Financial Management, Happiness, Minimalism, Motivational, Self Esteem, Stress ManagementLeave a comment on 5 Wonderful Free Kindle Self help Books for Thursday! *DARKEST HOURS, GREATEST POWERS: Proving you can achieve your dreams, regardless of your circumstances by A Law. Price: Free. Genre: Nonfiction, Self-Help, Motivational. Rated: 5 stars on 7 Reviews. 77 pages. ASIN: B07BCPYKDQ. *I Am Affirmations : How to stop negative thinking, Living a life full of abundance and prosperity is your birthright: How to stop worrying, over thinking, … (Law of attraction, quantum mechanics ) by Arthur Falcone. Price: Free. Genre: Nonfiction, Self-Help. Rated: 5 stars on 3 Reviews. 24 pages. ASIN: B07JCCF517. *How to Speed Read: 300%+ Improved Reading Speed TODAY: A Very Easy Guide (The Learning Development Book Series 6) by John Connelly. Price: Free. Genre: Nonfiction, Self-Help, Memory Improvement. Rated: 4 stars on 82 Reviews. 72 pages. ASIN: B009BSCZ0K. LESSONS in LIFE: Achieving a better you through self-reflection by Nico J. Genes. Price: Free. Genre: Nonfiction, Self-Help. Rated: 4.7 stars on 8 Reviews. 186 pages. ASIN: B07DLQRB6L. Posted on November 8, 2018 Author KibetCategories Memory Improvement, Minimalism, Motivational, Self EsteemLeave a comment on 6 Wonderful Free Kindle Self help Books for Wednesday! 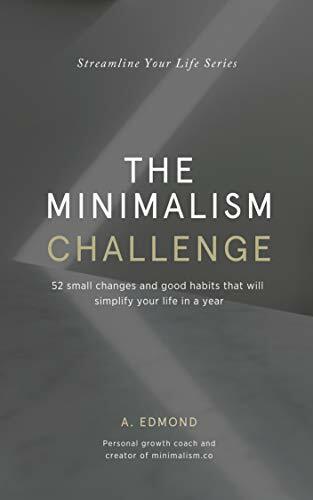 *The Minimalism Challenge: 52 small changes and good habits that will simplify your life in a year (Streamline Your Life Book 1) (Deal, Not Free) by A. Edmond. Price: $0.99. Genre: Non Fiction Self Improvement Deal, Sponsor, Year Long Minimalism Challenge and Guide, 52 Weekly Lessons, 12 Monthly Life Themes, Simplify Your Life. Rated: 5 stars on 1 Reviews. 265 pages. ASIN: B07JV892QD. ISBN: 1729324754. *Evolve or Die: Lessons for World-Class Innovation & Creativity by Thomas C. Triumph. Price: Free. Genre: Nonfiction, Self-Help, Creativity. Rated: 4.9 stars on 13 Reviews. 260 pages. ASIN: B07H4514TV. *Everyone Serves: A Handbook for Family & Friends of Service Members: During Pre-Deployment, Deployment and Reintegration by Blue Star Families. Price: Free. Genre: Nonfiction, Parenting & Relationships, Reference. Rated: 4.7 stars on 11 Reviews. 348 pages. ASIN: B00C10A3MC. Alpha Male: Attract Women, Self Confidence, Relationships, Make Money, Financial Freedom, Get In Shape, Overcome Fear, Goal Setting, Success Secrets! (How … Self Esteem, How To Be Rich, Metabolism) by Ryan Cooper. Price: Free. Genre: Nonfiction, Self-Help, Self-Esteem. Rated: 4 stars on 10 Reviews. 46 pages. ASIN: B00MG2QIT2. Posted on November 7, 2018 Author KibetCategories Minimalism, Motivational, Self Esteem, Self Improvement BooksLeave a comment on 5 Wonderful Free Kindle Self help Books for Tuesday! Posted on September 28, 2018 October 1, 2018 Author KibetCategories Dealing With Anxiety, Depression, Happiness, Marriage, Memory Improvement, MotivationalLeave a comment on 10 Excellent Free Kindle Self help Books for Thursday! 12 Wonderful Free Kindle Self help Books for Wednesday! *10x Your Life: A Practical Guide to Achieving Your Dreams (Deal, Not Free) by Kit Ryan, Patrick Borgerding, Mayra Ryan, Aymee Ramos, Joseph Ramos. Price: $0.99. Genre: Non Fiction Deal, Sponsor, Self Help, Focus on Your Dreams, And Achieve Them. Rated: 4.8 stars on 42 Reviews. 58 pages. ASIN: B07H39V7DC. *The Only Journey (Deal, Not Free) by Victor Scott. Price: $0.99. Genre: Non Fiction Deal, Sponsor, Take the Most Important Journey, Knowledge of Yourself. Rated: 5 stars on 1 Reviews. 71 pages. ASIN: B07GZWVF8X. *SOCIAL EYES: a book of social network statuses that project positive energy on a global scale (Nugget Series) by carmen rubin. Price: Free. Genre: Nonfiction, Self-Help, Self-Esteem, Motivational. Rated: 5 stars on 5 Reviews. 67 pages. ASIN: B008LOSHFW. *Better By The Dozen Plus Two, Part Two: Lessons Learned through Loss and Leukemia by a Family of Sixteen by Kathleen Littleton. Price: Free. Genre: Nonfiction, Parenting & Relationships, Parenting. Rated: 5 stars on 3 Reviews. 162 pages. ASIN: B009PG2JA4. *The Game of Life and How to Play It:The Universe Version by Florence Scovel Shinn. Price: Free. Genre: Creativity, Self-Help, Motivational. Rated: 4.9 stars on 10 Reviews. 85 pages. ASIN: B07HGFXZGH. *Me First! : A Modern Day Fable about Service, Scouting, and Self-Esteem by Will McNeil, Danny McNeil. Price: Free. Genre: Nonfiction, Parenting & Relationships, Parenting, Morals & Responsibility. Rated: 4.8 stars on 32 Reviews. 24 pages. ASIN: B00MD5KMG2. *Posting Hope: Positive Comments on Facebook for the One Who Needs Them by Becket. Price: Free. Genre: Nonfiction, Self-Help, Self-Esteem. Rated: 4.8 stars on 10 Reviews. 252 pages. ASIN: B00UCFXTW4. Get the Hell Past It: How to Recover from Failure with Grace, Dignity and Possibly Some Cash (Weenie-Proofing the Artistic Brain Book 3) by Sarah Beth Moore. Price: Free. Genre: Nonfiction, Self-Help. Rated: 4.3 stars on 15 Reviews. 80 pages. ASIN: B07H7T6ZY4. The Only Confidence Book You’ll Ever Need: How to Change your Beliefs and Overcome Dating Insecurity (Self Esteem,Alpha Male) by Jason Travis. Price: Free. Genre: Nonfiction, Self-Help. Rated: 4.3 stars on 8 Reviews. 35 pages. ASIN: B07H9DQBZV. Conscious Thoughts: Powerful Affirmations To Connect With Your Soul’s Language by Molly McCord. Price: Free. Genre: Nonfiction, Self-Help, Self-Esteem. Rated: 4.1 stars on 8 Reviews. 61 pages. ASIN: B00H1AJYP4. Posted on September 27, 2018 Author KibetCategories Love & Loss, Motivational, Self Esteem, Self Help Free Books KindleLeave a comment on 12 Wonderful Free Kindle Self help Books for Wednesday! 9 Fantastic Free Kindle Self help Books for Tuesday! 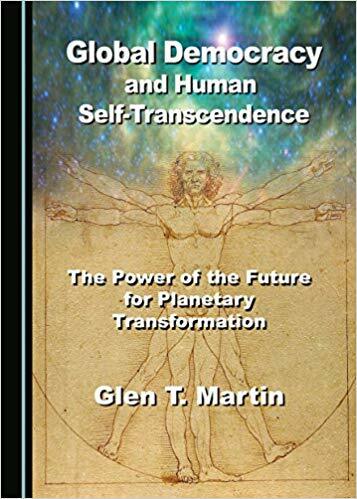 *Global Democracy and Human Self-Transcendence (Deal, Not Free) by Glen T. Martin. Price: $99.95. Genre: Non Fiction Guide to Self Transcendence Deal, Sponsor, The Dynamics of Human Dignity, Freedom, Love, Community and Intrinsic Rights. Rated: 5 stars on 1 Reviews. ASIN: 1527511650. *I’ve Decided to Live 120 Years: The Ancient Secret to Longevity, Vitality, and Life Transformation (Deal, Not Free) by Ilchi Lee. Price: $9.95. Genre: Non Fiction Deal, Sponsor, Self Help, How to Transform Your Life. Rated: 4.7 stars on 123 Reviews. 306 pages. ASIN: B076DFF6LL. Get the paperback version at $12.41 here, please. 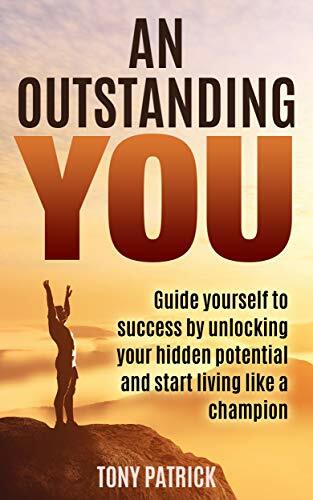 *An Outstanding You: Guide yourself to success by unlocking your hidden potential and start living like a champion. (Deal, Not Free) by Tony Patrick. Price: $6.49. Genre: Non Fiction Deal, Sponsor, The Need to Set out Goals and Dreams, How to Set and Achieve your Goals. Rated: 5 stars on 1 Reviews. 59 pages. ASIN: B07H11G1WR. Get it on Lulu here, or on PayHip here, please. *Self Confidence: A Guide To Develop Self Confidence In Your Daily Life (Self Confidence, Self Esteem, Self Acceptance, Self Love, Self Discovery, Self Improvement, Self Discipline Book 1) by Robert Jermanson. Price: Free. Genre: Nonfiction, Self-Help, Personal Transformation. Rated: 5 stars on 3 Reviews. 55 pages. ASIN: B07793DP97. *Narcissists, Abusers and Batterers: The Tools Used to Encourage Trauma Bonding in their Partners (Transcend Mediocrity Book 69) by J.B. Snow. Price: Free. Genre: Self-Help, Parenting & Relationships. Rated: 5 stars on 3 Reviews. 24 pages. ASIN: B0163P4FTM. *Defining Moments: A Suburban Father’s Journey into his Son’s Oxy Addiction by Bradley V. DeHaven. Price: Free. Genre: Nonfiction, Parenting & Relationships, Family Relationships, Fatherhood. Rated: 4.7 stars on 48 Reviews. 120 pages. ASIN: B004KZP0P6. *Beginning Your Love Revolution by Matt Kahn. Price: Free. Genre: Nonfiction, Self-Help, Spiritual. Rated: 4.7 stars on 20 Reviews. 28 pages. ASIN: B01M4JFZ58. *Law of Attraction Habits: 5 Habits That Super Charge Your Manifesting Skills (The LOA Lifestyle Book 1) by Chris Tomasso. Price: Free. Genre: Nonfiction, Self-Help, Personal Transformation. Rated: 4.3 stars on 81 Reviews. 48 pages. ASIN: B00UR1IN0G. Posted on September 26, 2018 Author KibetCategories Declutter, Motivational, personal transformation, Self Esteem, Self Help Free Books KindleLeave a comment on 9 Fantastic Free Kindle Self help Books for Tuesday! Posted on August 31, 2018 Author KibetCategories Motivational, personal transformation, Self Esteem, Self Help Free Books KindleLeave a comment on 6 Wonderful Free Kindle Self help Books for Wednesday! 6 Awesome Free Kindle Self help Books for Monday! *24 Motives For Life (Deal, Not Free) by Shashi Sahani Battini. Price: $3.99. 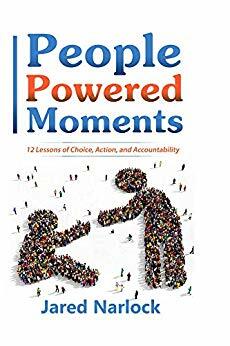 Genre: Non Fiction Deal, Sponsor, Self Help, Get Attuned to Yourself. 88 pages. Rated: 5 stars on 1 Reviews. ASIN: B07FP8PPWD. Also Get it on Bookshout Here, Please. *Recovering My Life : How I decided bariatric surgery was right for me, the ups and downs through transformational weight loss, and why I would do it all over again by Carol Adkisson. Price: Free. Genre: Non Fiction, Sponsor, Self Help, Eating Disorders & Body Image, Weight Loss. Rated: 5 stars on 1 Reviews. 150 pages. ASIN: B07GP4Q6LD. *Prayers, Punk rock and Pastry: From a hopeless dope fiend to a dopeless hope fiend by Chris Stewart. Price: Free. Genre: Nonfiction, Personal Growth, Self-Help. Rated: 5 stars on 6 Reviews. 154 pages. ASIN: B07GQ8YHMY. *Becoming Your own Key: A Guide to Self-Mastery, Self-Confidence, and Unlocking your Unlimited Potential by Kalen Doleman. Price: Free. Genre: Nonfiction, Self-Help, Self-Esteem. Rated: 5 stars on 3 Reviews. 44 pages. ASIN: B07FBZZPQV. *Declutter Your Mind: Life-Enhancing and Stress Management Techniques for Increased Energy, Clarity, Focus and Joy by Paula J. Harrison. Price: Free. Genre: Nonfiction, Self-Help, Stress Management. Rated: 4.7 stars on 16 Reviews. 78 pages. ASIN: B07FWBFKZV. Urban Goddess Mama: How I Got My Goddess Back After Postpartum Depression by Melania Tolan. Price: Free. Genre: Nonfiction, Parenting & Relationships, Family Relationships, Motherhood. Rated: 4.8 stars on 9 Reviews. 99 pages. ASIN: B00KELG2HA. Posted on August 29, 2018 Author KibetCategories Financial Management, Happiness, MarriageLeave a comment on 6 Awesome Free Kindle Self help Books for Monday! 8 Wonderful Free Kindle Self help Books for Sunday! *Gifts Yet to Open: My lessons with renowned psychic Carol Ann Liaros by Michele DeLuca. Price: Free. Genre: Nonfiction, by 21 Exercises. Price: Free. Genre: Nonfiction, Self-Help, Personal Growth. Rated: 5 stars on 6 Reviews. 115 pages. ASIN: B072KF2TXY. *Personal Development: Simple Secrets: 21 Exercises For Self Growth and How To Be Happy (Self Reliance) by 21 Exercises. Price: Free. Genre: Nonfiction, Self-Help, Personal Transformation. Rated: 5 stars on 3 Reviews. 102 pages. ASIN: B0737G1ZWK. *Constance Chronicles VOL III: Trials of A Shook Soul by Susie Newton. Price: Free. Genre: Nonfiction, Self-Help, Motivational. Rated: 5 stars on 3 Reviews. 84 pages. ASIN: B0786YXBN9. *OVERCOME NEGATIVE EMOTIONS: 7 habits to keep negative emotions away and 6 ways to overcome stress in the blink of an eye by JOSHUA SLOAN. Price: Free. Genre: Nonfiction, Self-Help, Stress Management. Rated: 4.8 stars on 15 Reviews. 38 pages. ASIN: B07G1BTTPS. *CHARACTER: Empowering Yourself with Emotional Intelligence (BECOME YOUR BEST SELF Book 1) by Jennifer Freed Ph. D. Price: Free. Genre: Nonfiction, Self-Help, Family. Rated: 4.6 stars on 36 Reviews. 183 pages. ASIN: B01H23KR8C. The Unmumsy Mums: A Collection of Your Hysterical Stories from the Frontline of Parenting by Transworld Digital. Price: Free. Genre: Parenting & Relationships. Rated: 4.4 stars on 6 Reviews. 25 pages. ASIN: B01ABAE770. Posted on August 28, 2018 Author KibetCategories Happiness, Motivational, personal transformation, Self Help Free Books KindleLeave a comment on 8 Wonderful Free Kindle Self help Books for Sunday!